The relaunched Wells Fargo Propel American Express® Card is designed as a rewards credit card with nice travel-related features, and its generous balance transfer benefits, solid rewards offered for everyday purchases and some extra perks and features thrown in for good measure could make this generally an excellent addition to your wallet. The card offers you three points for every $1 spent on travel-related purchases including flights, hotels, gas stations, homestays, rideshares, transit and car rentals. You also pick up three points for every $1 spent on dining purchases, which the card refers to as "eating out and ordering in." All other purchases are worth one point per $1. With an earning structure like that, you could find yourself pulling this card out of your wallet pretty often. Plus, you don't have to worry about offsetting an annual fee (there isn't one!) and you can earn a welcome bonus of 30,000 points, valued at $300 in cash redemption, after you spend $3,000 in the first three months. Earn 30,000 bonus points after spending $3,000 in the first three months, worth $300 in cash redemption value. Plus, you'll earn 3 points per $1 spent on travel purchases (that is, flights, hotels, homestays and car rentals) as well as on dining out/ordering in, gas station, transit and rideshare purchases. Enjoy up to $600 in cell phone protection against covered damage and theft if you pay your cellular bill with your card. Take advantage of the 12 month intro offer of 0% interest on purchases and balance transfers (then, 16.24%-27.24% Variable). This tiered credit card leaves out a category many other tiered cards offer bonus points in – groceries. If you spend much on groceries, you might consider a different card for maximum rewards. Unlike some other rewards cards, the Wells Fargo Propel American Express® Card doesn't limit you much when it's time to redeem points (though travel redemption could prove to be where you'll get the most value; more on that below). You can redeem points for travel, merchandise, gift cards, digital downloads or cash back. You can also donate your points to charity, a family member or friend. This flexibility gives you the option to decide what's best for you at that moment. Let's say you're planning an international trip. That would be a good time to redeem points for travel; however, another time you might need those points for cash back or gift cards for holiday shopping. The card gives you that flexibility. Now, here's a perk that will interest consumers with some other Wells Fargo cards. The company's Go Far Rewards program lets you combine this card's rewards with Go Far Rewards you earn using other Wells Fargo cards in the program. You can also pool rewards with family and friends. Think about the kind of trip you and your family could enjoy if you pool those resources. Open a new Wells Fargo Propel American Express® Card and, first things first, make sure you spend $3,000 on the card in the first three months in order to earn that 30,000-point welcome bonus. Then, continue using the card for your everyday purchases, but particularly for purchases that will earn you three points per $1 spent – that is, travel (flights, hotels, homestays and car rentals); gas station, transit and rideshare purchases; and eating out/dining in. When the time comes to redeem your points for airfare, simply pool those points under your Wells Fargo Visa Signature® Card. Each point will then be worth 1.5 cents toward your airfare reward rather than the standard $.01 each. That means the 30,000-point bonus could be worth as much as $450 toward airfare if you employ this strategy. The Go Far Rewards program additionally lets cardholders earn bonus rewards by shopping in the Earn More Mall. Shop there and see your Go Far Rewards accumulate at a higher percentage per $1 spent when you shop with particular retailers or book travel through particular sites. Sure the rewards options are nice, but the Wells Fargo Propel American Express® Card is more than a rewards card. It also offers cardholders a decent balance transfer option that could save you big money on interest. New Wells Fargo Propel American Express® Card members can take advantage of an intro offer of no interest on purchases and balance transfers for 12 months (then, 16.24%-27.24% Variable). Lastly, if you pay your cellular phone bill with your card, you'll be protected against covered damage and theft for the primary phone as well as up to three additional phones on the account. The coverage is subject to a $25 deductible and is limited to no more than two claims in a 12-month period, with a maximum benefit of $600 per claim ($1,200 per 12-month period). 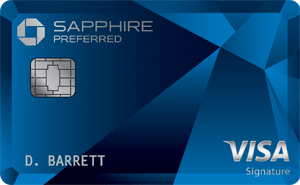 Between the rewards-earning, the redemption options, the cellular phone protection and the fact this card doesn't charge an annual fee or foreign transaction fees, the Wells Fargo Propel American Express® Card truly has a lot going for it. 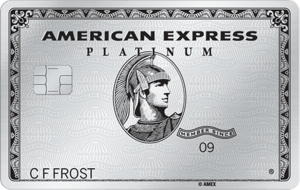 Like any American Express card, it's important to remember that the card isn't accepted as commonly as Visa or Mastercard, particularly outside of the United States. Therefore, you may want to make sure you have another card (like the Wells Fargo Visa Signature® Card mentioned above) if you decide on an American Express card. Also, though the card doesn't charge an APR for the first 12 months, it does charge a 3 percent balance transfer fee during the first year. The balance transfer fee increases to 5 percent after the introductory period. So, if you're transferring a balance, make sure to do that within the first 12 months or you'll have to pay a higher balance transfer fee to go along with having missed out on the 0 percent APR period. Earn 3X points for eating out and ordering in. Earn 3X points for gas stations, rideshares and transit. Earn 3X points for travel including flights, hotels, homestays and car rentals. Earn 1X points on other purchases. Citi Premier℠ Card cardholders earn three points for every $1 spent on travel, which includes airfare, gas stations, hotels and car rentals (Citi is a CardRatings advertiser). You also get two points for every $1 spent on dining out and entertainment. Cardholders get one point for all other purchases. That means Wells Fargo cardholders get slightly more for dining than if you have the Citi card, so you'll want to think about your eating habits as a starter question for deciding between these two cards. Then, you'll want to think about the annual fees. The Citi Premier℠ Card charges $95, waived for first 12 months, but it's still going to cost you more in the long run to carry the Citi card since the Wells Fargo card is a no-annual-fee option. The Citi Premier℠ Card doesn't charge foreign transaction fees. However, unless you're willing to combine the Wells Fargo card with the Visa Signature® option and receive 50 percent more value for your airfare rewards, the Citi Premier℠ Card is the better option when it comes to redeeming points for airfare. Cardholders' points are worth 25 percent more when redeemed for airfare through the ThankYou® Travel Center, Citi's online booking tool. You can earn 50,000 bonus ThankYou® Points after spending $4,000 in purchases within the first three months of account opening. These 50,000 Points are redeemable for $625 in airfare on any airline, anytime--with no blackout dates, when booked through the ThankYou® Travel Center. Or, get $500 in gift cards when redeemed at thankyou.com. The Citi card also lets you transfer points to a number of airline loyalty programs like TrueBlue (JetBlue) and the Virgin Atlantic Flying Club. What you WON'T get with the Citi card is cellular protection or, as mentioned earlier, a no-annual-fee card. The Capital One® Venture® Rewards Credit Card gives you two miles for every $1 spent on all your purchases, which means you don't ever have to think strategically about maximizing your rewards by using the card for specific categories. That said, you will also earn 10 miles for every $1 spent on prepaid hotels booked through Hotels.com/Venture. This card also offers 50,000 bonus miles after you spend $3,000 on purchases in the first three months. That's $500 you can put toward travel statement credits, which are completely flexible. When it's time to redeem miles, you can credit your account for travel-related expenses. There are no hotel or airline or other restrictions. The Capital One® Venture® Rewards Credit Card charges an annual fee of $0 intro for first year; $95 after that. There are no foreign transaction fees, but also no 0 percent interest period. You will be eligible for up to $100 statement credit every four years as a reimbursement for your Global Entry or TSA Pre✓® application fee. Additionally, the welcome bonus for the Barclaycard Arrival Plus® World Elite Mastercard® is high right now: Cardholders can earn 70,000 bonus miles after spending $5,000 on purchases in the first 90 days. That's valued at up to $700 in travel statement credit, and you can redeem miles for travel, cash back statement credits, gift cards and merchandise. The Barclaycard Arrival Plus® World Elite Mastercard® charges an $89 (waived first year) annual fee. Once again, you won't pay foreign transaction fees with this card. The combination of a broad rewards program coupled with no annual fee and no APR for a year on purchases and balance transfers opens the Wells Fargo Propel American Express® Card up to many different types of cardholders. However, you'll want to make sure you travel, dine out and fill up at the pump often to take full advantage of it. People who use their card for those activities will get the most out of the rewards program. Given that there's no annual fee to worry about offsetting and you're potentially eligible for free cellular phone protection, this card isn't a bad one to have in your wallet, even if you aren't an everyday credit card user.